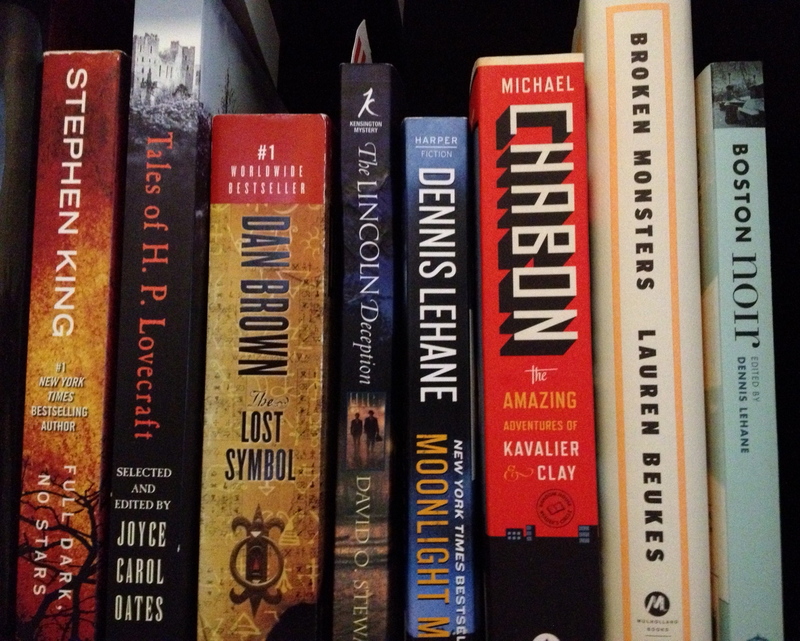 A geek’s inquiry: Can you own too many books? Some 12 years ago, when I was in the market to buy a condo in Boston, perhaps my biggest priority was that my new home had to accommodate bookshelves, as in every room save the bathroom and kitchen. My broker was amused. She had facilitated many sales in Greater Boston, but never before had she worked with someone who was so attentive to wall space for placing bookshelves. During every one of my several moves over the years, more and more books seem to come along. Although I’ve given away many hundreds of books, the number of volumes in my personal library inevitably grows. Concededly, I can’t keep up with my new treasures. My rate of acquisition outpaces my ability to read. As I wrote a few months ago, if I suddenly had to stop buying books, I would have enough unread volumes to keep me happily engaged for years. I want to buy a book—perhaps it’s a specific book, identified in a review or mentioned by a friend, or perhaps simple intellectual restlessness has put me in the mood to browse a bookstore shelf and find something new. As I descend to the streets of the city where I live, I recall that many fine unread books remain on my overstocked shelves at home. I’m aware of them every hour of the day, even when I look up from the book I’m currently reading. They remind me of promises made to read them when they were bought; some of these promises are now decades old. My shelves also hold certain already-read volumes that deserve a careful, more mature rereading. I should turn back. I sometimes wish I had that capacity to feel the smallest twinge of conscience about buying another book. But like a favorite dog or cat when it comes to food, I seem to be missing an “off” switch when I walk into a bookstore or shop online. I consider it an act of supreme willpower to walk away (or log off) empty-handed. Okay, so let’s get back to the question. Can you own too many books? In terms of pure physics, I suppose the answer is yes. I mean, if you’re trying to fit 800 square feet of books into a 750 square foot apartment, then you’ve got a problem. I’ve also read of apartment dwellers so loaded up with books that they’ve had to pay contractors to reinforce the floors, lest their library cause a collapse of epic and life-threatening proportions. Maybe it’s time to ease the burdens on the infrastructure instead. Otherwise, well, umm, er…I’m not sure. Ken Kalfus may feel some unease over his neglected purchases, but I find comfort in gazing at my bookshelves and seeing volumes both read and unread. They gently suggest that many old and new adventures await, and all I have to do is pull one off the shelf and open the cover. Dave, I definitely agree with you! However I have been able to cut down on the problem of physical space by reading e-books and library books more often. On the other hand, I feel obligated to always buy at least one book whenever I visit a used bookstore – we need to keep supporting them! And I was happy to see that I own and have read all of the books in your photo with the exception of “Boston Noir”. You have good taste, sir! Don, we have long reinforced each other’s reading tastes!